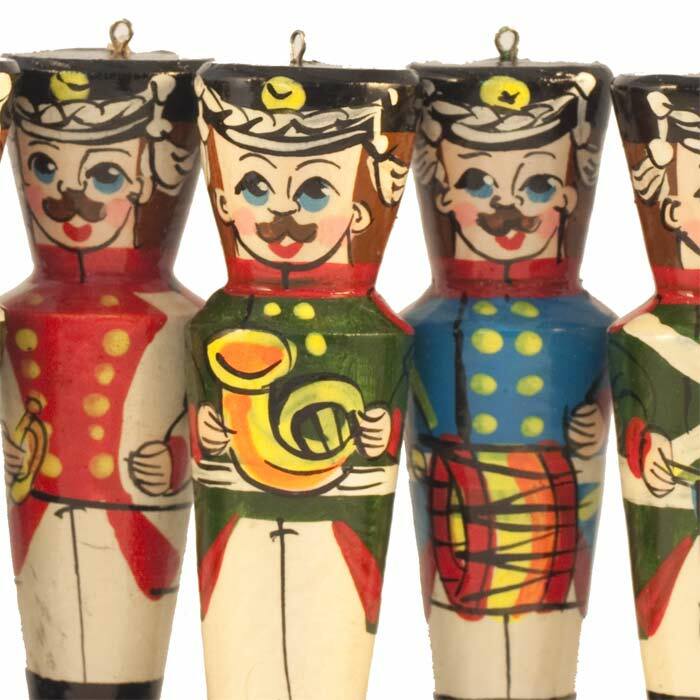 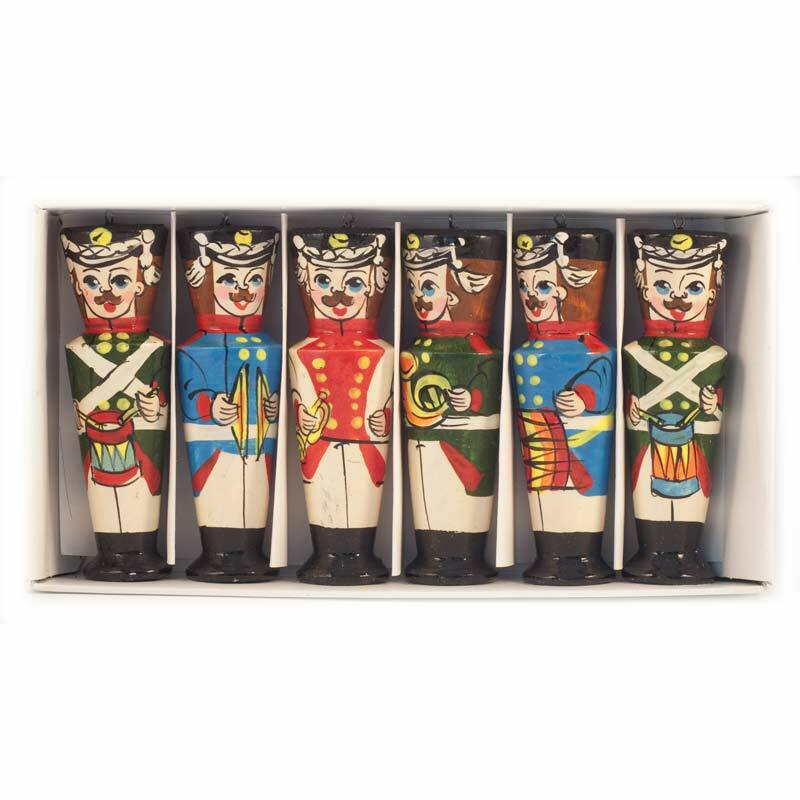 Ornaments Military Orchestra is an original set of ornaments for decoration of your Christmas tree or home, it describes old Russian military musicians. 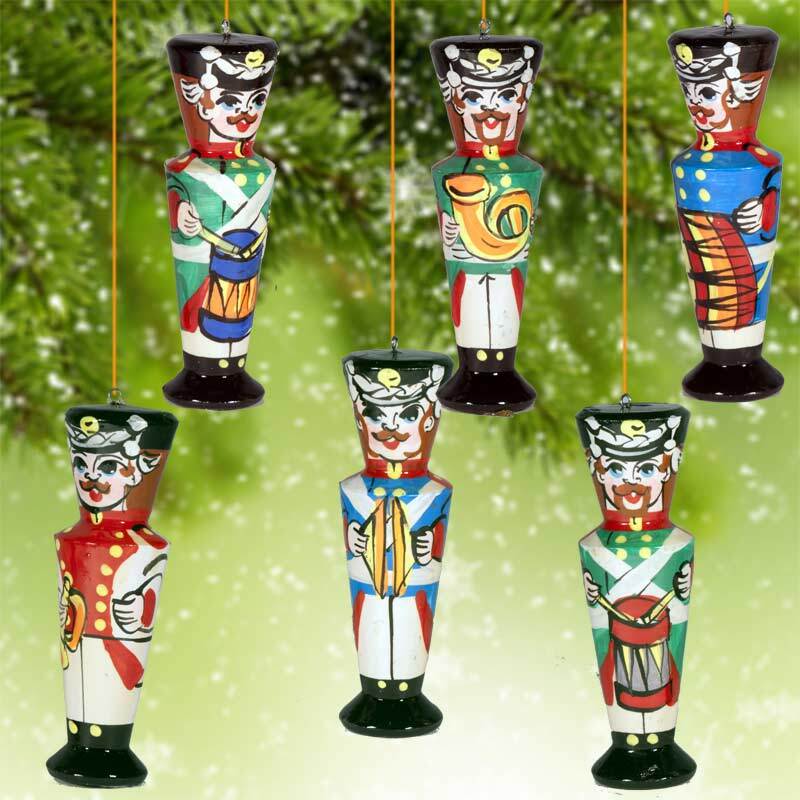 All the ornaments are hand made and hand painted in Russia by skilled Russian artisans. 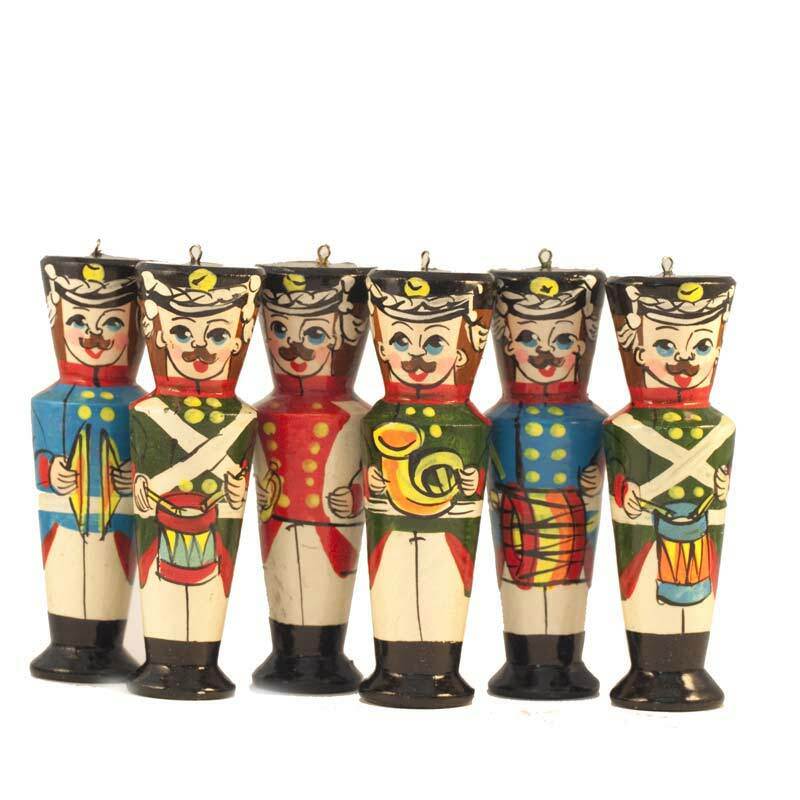 The ornaments are made of soft and light linden wood, painted with bright tempera paints and finely finished with glossy lacquer.